An unlikely feud between former drug executive Martin Shkreli and Wu-Tang Clan’s Ghostface Killah has escalated yet again. Ghostface released a video in response to Shkreli’s demands that the rapper apologize for publically insulting him. The most recent video in the continuing beef features Ghostface Killah, his mother, his sister, and an unnamed woman. Ghostface starts the video with some classic taunting by showing a meme with Shkreli’s face pasted onto Pee-Wee Herman’s body. However, after calling Shkreli “Peter Pan” a few times, Ghostface turns his focus to Shkreli’s ethics. 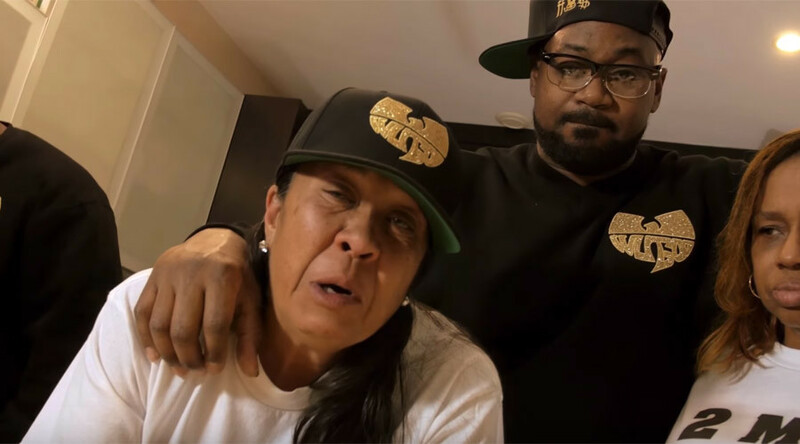 The video, which also doubles as an advertisement for Ghostface Killah’s Wu Goo – a THC vape cartridge – features his sister explaining that, as a grandmother without insurance, drug price hikes like the one Shkreli is responsible for have a devastating impact. However, she also focuses on the health benefits of the Wu Goo marijuana vaporizer, and the advertising for it at the end claims it can fight cancer cells. For those just catching up, here’s a quick beef recap: It all started back in late 2015, when it was revealed that Shkreli had purchased the only copy of the Wu-Tang Clan album Once Upon a Time in Shaolin. The single print album was purchased in an auction for $2 million. Shkreli explained his reason for purchasing the album by saying “I think every rich rap guy interested in rap was interested,” and “there’s a lot of rich dudes who buy to just prove that… to show off” on Chicago’s The Breakfast Club radio program. However, in the same interview, he also said he would slap Ghostface if he were in the room. Shkreli posted a bizarre video featuring a crew of masked goons in reaction, in which he demanded an apology from the rapper in “500 words, no grammatical errors,” claiming otherwise he would have the rapper’s tracks removed from Once Upon a Time in Shaolin. Shkreli became a news item in September when he revealed that he was behind a 5,000 percent price hike for Daraprim, an anti-parasitic medication used to treat problems such as malaria and HIV. Daraprim had cost $13.50 a pill prior to the hike. However, after Turing Pharmaceuticals bought the rights to the medication, the price was raised to a whopping $750 per pill. Shkreli has made efforts to combat his image as a villain since his arrival in pop culture. In an interview with Vice, he explained that the price hike does not hurt patients as much as it hurts the insurance companies. “We sell our drugs for a dollar to the government. But we sell drugs for $750 a pill to Wal-Mart, to Exxon Mobile, to all these big companies and they pay full price because f**k them, why shouldn’t they?” he said in the interview.